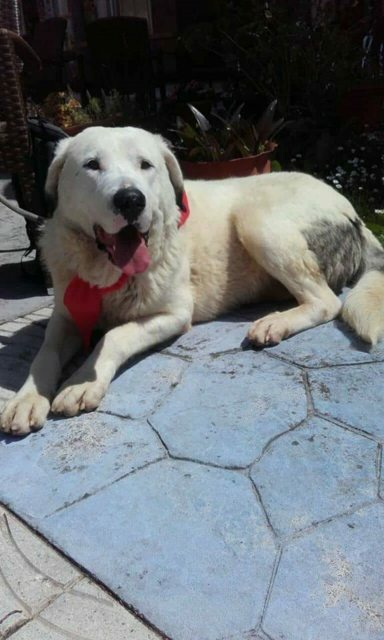 Manchis is a 2-3 year old male Spanish Mastin. 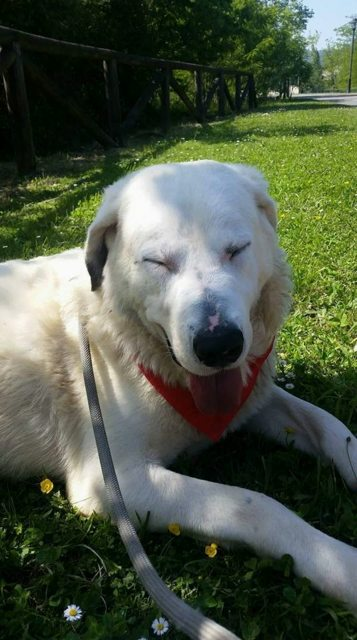 Manchis is a stunning, white, fluffy coated, young boy. He is strong and energetic, looking for a firm, knowledgeable owner who is also strong and active. Manchis’ measurements are – Height from floor to shoulder (withers) x length (nose-bottom): 68 x 100 cm, and he weighs 45kg so he is a big boy! Manchis loves meeting people he is very affectionate; he has never reacted badly with anyone. He gets very attached to people, he loves following them around and has a very loyal and protective nature. He loves head and belly rubs! Manchis loves going out for walks but he can pull, as he is a strong dog. When he is calm (after the first excitement of going out), he walks next to the person, stopping every now and then to check on the person and to ask for some affection! He is currently going for walks off lead at his foster home, in an isolated area, and he stays close to his person. He is a lovely kind-hearted dog, still very young and loving, eager to please but he can get stressed and boisterous when excited. 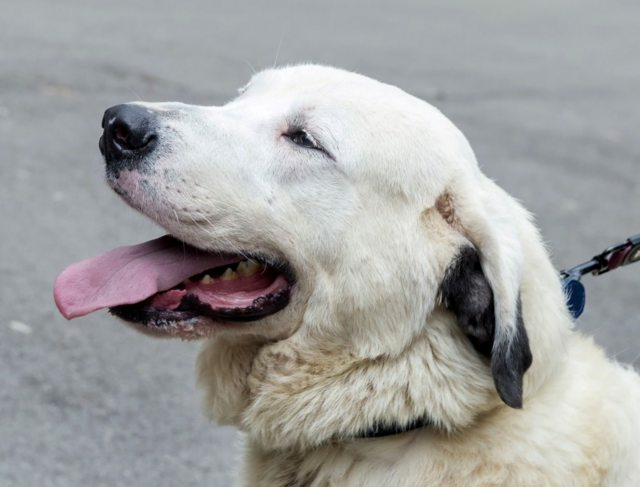 He needs an owner with insight into large breed dogs and time to spend with him. 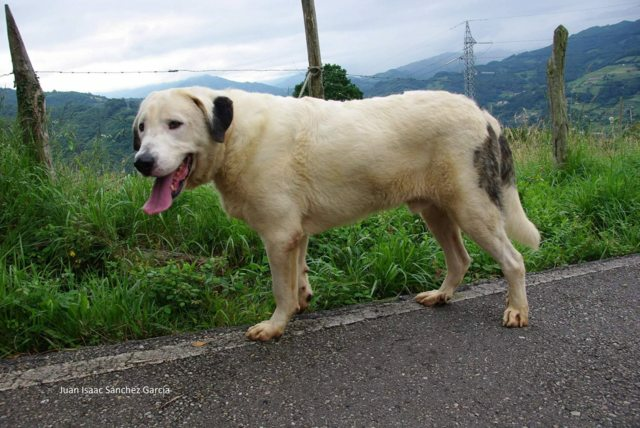 Fosterer’s report: He is sociable with most dogs, actually we know that his best friend at the Spanish pound where he came from was a male German Shepherd Dog who was adopted in UK. However, he doesn’t like dominant, nervous male dogs; so he needs to be homed with sociable, calm and playful dogs, just like him! 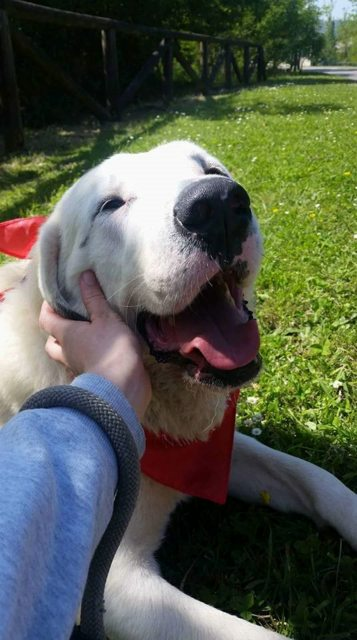 He would love to live with more dogs, especially large females of his same size so he can play with them. He is very playful with both dogs and people. He is house-trained and travels well by car. He needs a home with no cats, mall animals or small children. 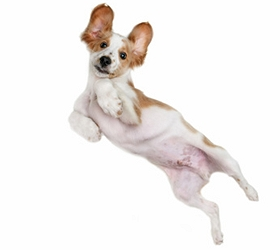 Neutered, Microchipped, Pet Passport, FREE 4 weeks Pet Insurance to be activated from the link on our website, Any known health issues NONE KNOWN.